Testing and managing blood pressure, cholesterol, diabetes, strokes, heart attacks and asthma. Pap smears and minor surgeries such as mole checks and excision. Assistance for work-related injuries or motor vehicle accidents. Children’s immunisation and travel vaccinations including yellow fever vaccine. Their team of nurses, counsellors, dietician and podiatrist are committed to serving you and your loved ones. 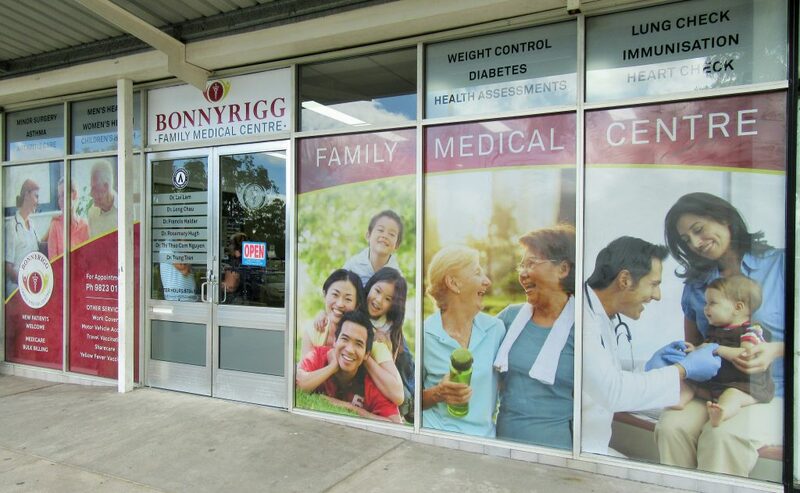 Bonnyrigg Family Medical Centre is located outside next to Priceline Pharmacy. Entry is from the car park. Ring for an appointment on 9823 0188.